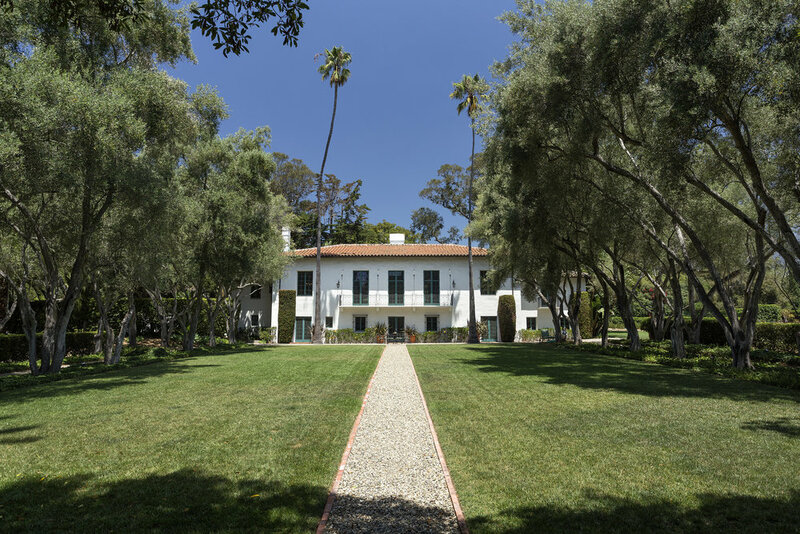 FIND THIS MAGNIFICENT 1929 SPANISH REVIVAL ESTATE, DESIGNED BY FAMED ARCHITECT GEORGE WASHINGTON SMITH IN COLLABORATION WITH LUTAH MARIA RIGGS. ”LOS SUENOS”, WHICH TRANSLATES TO "THE DREAMS" IS TRULY ONE OF THE FINEST GRANDE DAMES OF OLD MONTECITO AND GRACED WITH BEAUTY, ELEGANCE, HISTORY AND GRANDEUR. THIS SPECTACULAR ~ 10,500 SQ.FT. JEWEL RESTS ON ~3 .34 PRISTINE ACRES AND OFFERS 5 BEDROOMS, 7 1/2 BATHS, AND A DELIGHTFUL 4 STORY TOWER GUEST HOUSE. UPON ENTERING THE GATES, FOLLOW THE TREE-LINED ROAD TO BE GREETED BY A GRAND CIRCULAR MOTOR COURT WITH LOVELY FOUNTAIN. 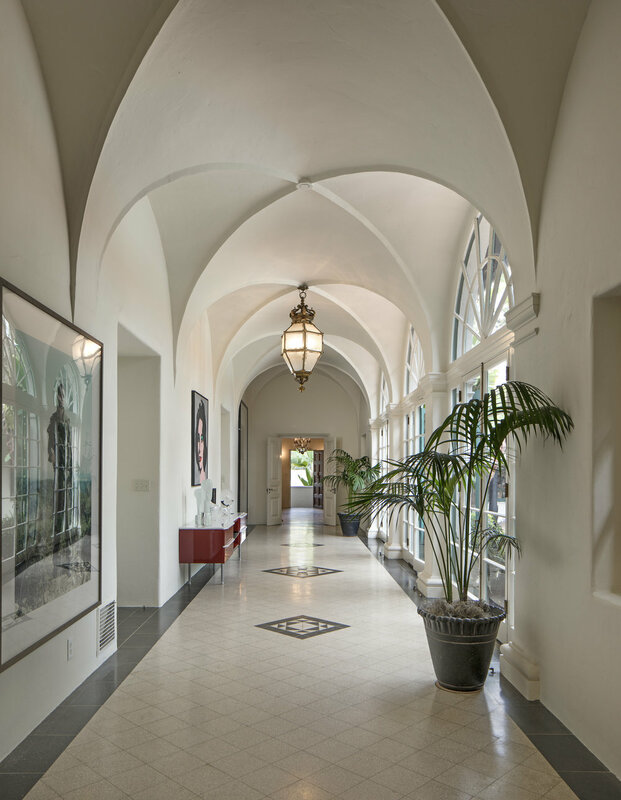 STEP INTO THE ELEGANT FOYER AND IMPRESSIVE HALL WITH BEAUTIFUL MARBLE FLOORS, 15 FT. ARCHED CEILINGS, AND PALLADIUM WINDOWS AND DOORS OPENING OUT TO THE STUNNING AND UNIQUE SQUARE POOL, WITH A GRACIOUS COURTYARD FOR ENTERTAINING. THE ROMANTIC FIRE-LIT LIVING ROOM IS ADORNED WITH DARK WOOD PANELING, SOARING CEILINGS, WOOD FLOORS, AND A TRIO OF BALCONIES OVERLOOKING THE DRAMATIC GRAND LAWNS. THE FORMAL DINING ROOM BOASTS FABULOUS CHECKERED MARBLE FLOORS AND FIREPLACE, ALONG WITH A HANDSOME LIBRARY/ STUDY. THE STATE OF THE ART GOURMET KITCHEN IS A CHEF'S DREAM WITH THE FINEST AMENITIES, AND EXPANSIVE FULL SERVICE BUTLER'S PANTRY. THE INVITING MASTER SUITE WITH FIREPLACE AND SITTING AREA, IS ENHANCED WITH DUAL SEPARATE MARBLE BATHS AND SPACIOUS CLOSETS WITH CUSTOM BUILT-IN CABINETRY. ENJOY THE PRIVATE AND TRANQUIL OUTDOOR LIVING SPACES WITH A TENNIS COURT, POOL, FOUNTAINS, MAJESTIC LAWNS, GLORIOUS MANICURED GARDENS, STONE PATHWAYS, OLIVE TREE GROVES, BEAUTIFULLY FRAGRANT ROSE GARDEN, ORCHARD AND WONDERFUL MATURE SPECIMEN TREES AND PLANTINGS. 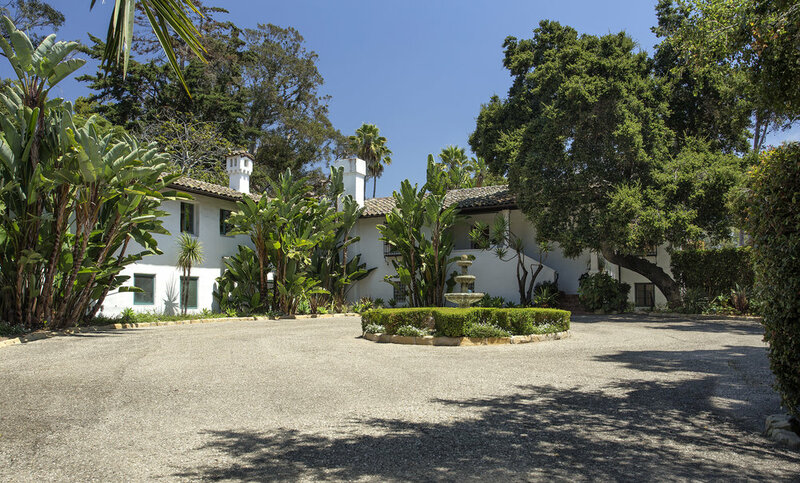 THIS GRAND ESTATE IS LOCATED IN THE MONTECITO UNION SCHOOL DISTRICT, AND A SHORT DISTANCE TO LOWER MONTECITO VILLAGE. 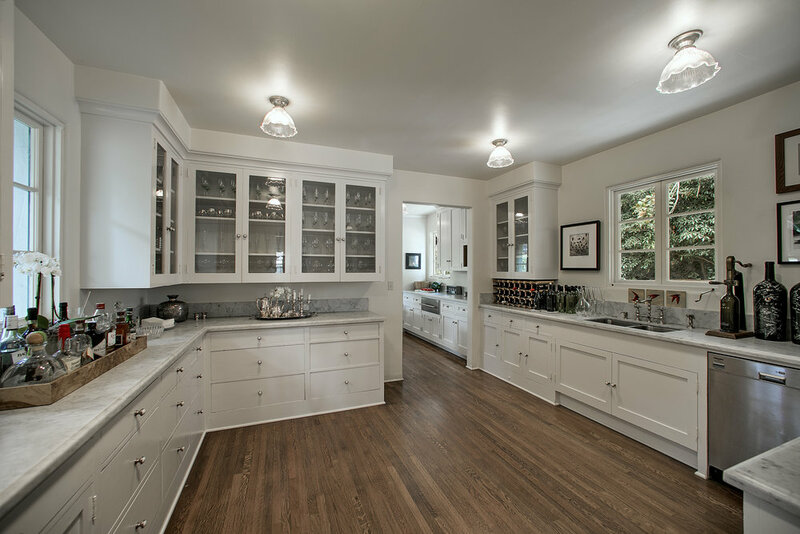 COMPLETING THIS PROPERTY ARE 2 WINE CELLARS, 4 CAR GARAGE, FULL SERVICE LAUNDRY ROOM AND GREENHOUSE. THIS WORLD CLASS ESTATE IS A ONE OF A KIND TREASURE AND AN ENTERTAINER'S DREAM!